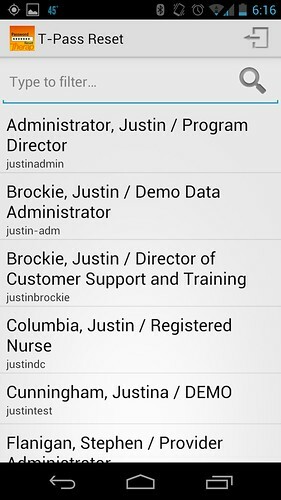 Along with our new web application, we will also be releasing a new mobile application (or two). Tapping on the T-Log link will bring you to a list of unread T-Logs. You can look at them all or filter by Notification Level. 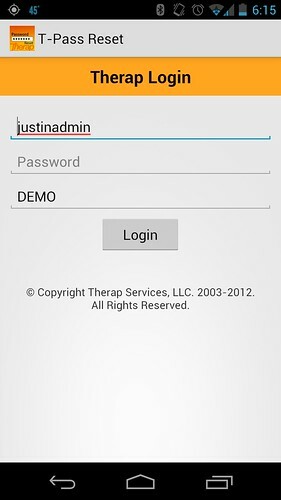 Coming soon :: Therap 2013.2.7 :: Introducing the Therap Android App! By Justin Brockie|2016-11-03T04:23:32-05:00September 10th, 2013|Categories: Therap 2013.2|Tags: Android, Release Notes, Therap 2013.2|Comments Off on Coming soon :: Therap 2013.2.7 :: Introducing the Therap Android App! Peter and I are attending the NASDDDS Conference in Oklahoma City. After meeting with a bunch of folks last night at our reception, it’s now time to show off some of the latest goodies, especially our Mobile ISP Data App! 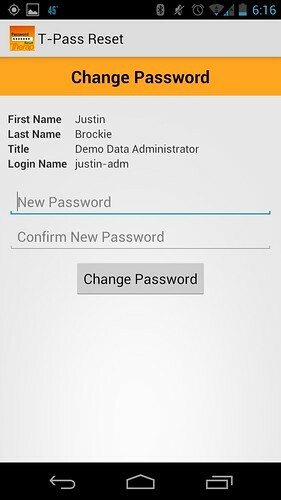 With Therap 2012.3, we will be releasing our first native Android App. 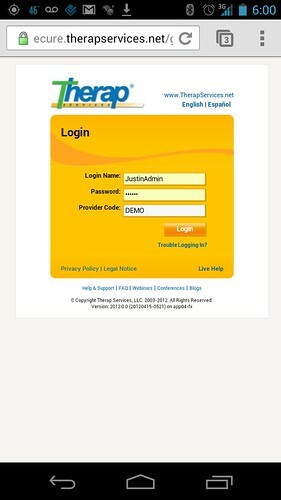 This will allow Provider Admins to easily reset a user’s password from their phone. Quick and simple, just the way it should be! Did you know that you can upload photos directly to Therap from your phone without having them stored there? Neither did I until I was hanging out with Nathan (Primecare’s Director of Nursing in Connecticut). Given Allison and Tony’s recent fawning over the iPad 2 and all things Apple, I thought it was about time I did a little on the things that are interesting me just now. 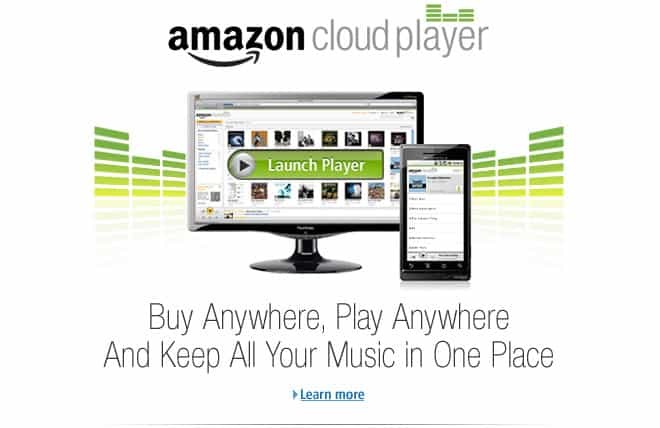 Top of these at the moment is some of the stuff that Amazon is up to. I am a huge fan of shopping there, one of my rules in life is that if it is not sold by Amazon it probably is not worth having. Then they started doing their video streaming service which include just about all my favourite old BBC shows like Blackadder, Red Dwarf, and Dr Who. Does Therap work on my phone and my browser? The answer to this questioon is most likely “Probably, most of the time.” if you are using a current browser or an Android / iOS / WebOS phone. The problems start to happen when you get someone like me who has tons of browsers on their computer (sometimes just to try them out and sometimes becuase I want to have multiple Therap accounts open at once while I am testing or setting somethign up). 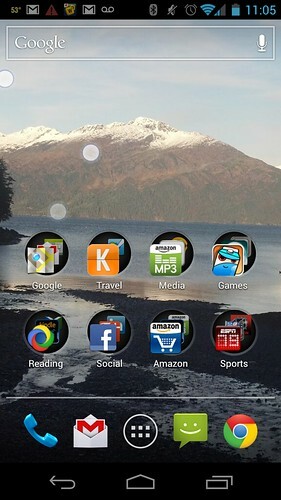 By Justin Brockie|2016-11-03T04:24:11-05:00March 24th, 2011|Categories: Android, Hardware, Uncategorized, Web|Tags: Android, iPad, iPhone|Comments Off on Does Therap work on my phone and my browser? Come and enjoy three days of exciting sessions with the Therap staff, trainers, and also people from across the country who has been using Therap. Its a great opportunity for prospective and existing users to learn about the system, and also the developmental disability industry at large.